While many strains of bird flu do not affect humans and other animals, strains such as Asian flu H5N1 are a particular cause for concern. Since 1997 there have been more than 100 confirmed cases of human infection by avian bird flu virus. Cases of Asia bird flu have been due to contact with infected poultry and contaminated surfaces. Asian flu H5N1 can lead to a pandemic since it can mutate rapidly and can lead to person to person infection. This can lead to a world wide Avian flu pandemic. Read on to find out how the threat of bird flu virus hangs like Damocles’ sword over the world. Bird Flu originated in China, probably from civets, a nocturnal arboreal (tree-dwelling) animals, implicated in the earlier outbreak of SARS - Severe acute respiratory syndrome. SARS is a viral respiratory illness caused by a coronavirus SARS-CoV. China has 14 billion poultry and about 70 % of the world’s wild waterfowl visiting it, making it one of the most likely staging areas for cross species pathogens. Avian bird flu is an infection that is caused by bird flu viruses. While wild birds can carry these viruses in their intestines and not fall ill, domesticated birds such as chickens, ducks and turkeys can be infected and killed by this Avian flu virus. Birds contract avian flu virus when they come in contact with contaminated excretions. Infected birds shed flu virus in their nasal secretions, feces and saliva. Most cases of human infection of Avian bird flu is through contact with infected poultry or contaminated surfaces. The most common symptom of humans infected with Avian flu h5n1 strains is conjunctivitis of the eyes. 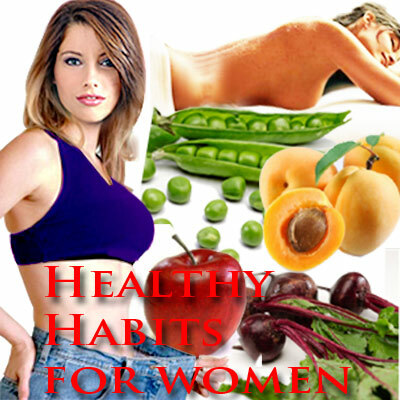 Symptoms generally appear between two to four days following exposure. Symptoms of avian flu depend on the strain of virus that caused the infection. You can experience symptoms that characterize most flu infections – fever, cough, sore throat and muscle ache. More severe symptoms of avian bird flu are pneumonia and severe respiratory disorders. In conditions of Avian flu epidemic, utmost care must be taken when handling and cooking poultry. Avian flu is usually contained among birds and does not affect humans. Those at risk of contracting Asian flu H5N1 are those who come into contact with sick birds or their feces in the course of their work or travel. But during an Avian flu outbreak among poultry, it leads to a situation of infection among humans. 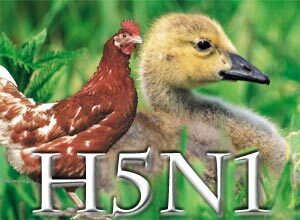 The first strains of Asian flu H5N1 have been noticed and monitored since 1997. Like all bird flu viruses, avian flu H5N1 virus circulates among birds worldwide, is very contagious among birds and can be deadly. Since mid 2003, Asian flu H5N1 has caused probably the largest outbreak of poultry infection. The current outbreak of Avian flu h5n1 among poultry in Asia and Europe has caused human infections and fatalities. Over 100 cases of human infection have been confirmed in Cambodia, Indonesia, Thailand and Vietnam. The fatality has been more than 50%. If the Asian flu virus becomes fully contagious, it will spread globally. WHO (World Health Organization) has warned of a possible Asian flu epidemic in the near future from the H5N1 strain of bird flu virus. With international travel, it can easily spread to most parts of the world. Another source of concern is that the Asian bird flu virus could spread via migratory birds. Since October 2005, China has reported 11 fresh outbreaks of the disease in six provinces, from Liaoning in the northeast of the country to Xinjiang in the far west. Indonesia has also seen fatal cases of human infection of avian flu H5N1. Most of these cases have occurred due to contact with infected poultry or contaminated surfaces. Infection through human-to-human spread has been rare. If instances of virus spread from person to person escalate, it can lead to an Asian flu pandemic. The inability of the H5N1 Avian Flu virus to become easily transmitted from one human to another is the reason that it has not turned into a pandemic. Health experts from around the world are watching the H5N1 situation in Asia very closely and are preparing for the possibility that the virus may begin to spread more easily and widely from person to person. Avian influenza virus infection can be diagnosed using specimens of blood, sputum or from swabs of the nose and throat. Testing for Asian flu is done at a specialized laboratory. Currently no commercially available vaccine is available to protect humans against the H5N1 virus that is being seen in Asia. However, vaccine development efforts are under way. Research studies to test a vaccine against Avian flu H5N1 virus have begun in April 2005. Clinical trials are underway. Asian flu H5N1 is resistant to most antiviral medications including amantadine and rimantadine. Drugs like Tamiflu may reduce the severity of human flu strains if taken within two days of the onset of symptoms. Standard precautions like washing hands frequently with plenty of soap and water helps to avoid the infection through contact. Avoid undercooked eggs or poultry. First Published Date: Jan 16 2007 Last modified Date: April 23 2019 This page may have been updated recently as new information is available or the content may have been edited for better readability.